Since our founding by Bishop Meerschaert in 1919, we have sought to be a welcoming parish, guided by God’s grace and strengthened by the intercession of Our Lady of Perpetual Help. Thousands of men, women and children have shared their time, talents and resources to build a wonderful community of faith. We are delighted to have you join us! 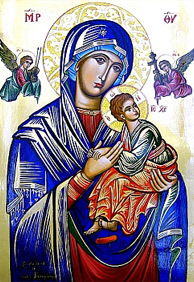 The Cathedral parish assembles under the protection of Our Lady of Perpetual Help seeking holiness and wisdom, proclaiming the Gospel of Salvation. With generous hearts and a spirit of sacrifice, members of this parish renew themselves in worship, hospitality, and service, as the seat of the Archdiocese of Oklahoma City. Catholic Elementary school adjacent to Our Lady's Cathedral.